West Jakarta Mayor, Anas Effendi, requesting the certification process of all city assets in West Jakarta to be accelerated. It is to anticipate the potential of disputes in the future.
" Especially urban village and sub-district office. All must be certified by 2018"
"Especially urban village and sub-district office. 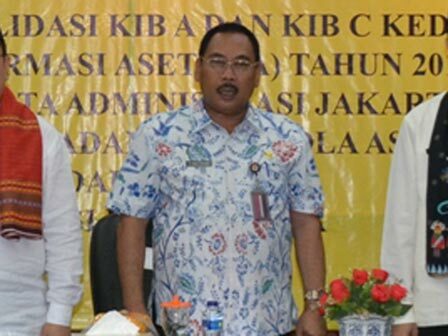 All must be certified by 2018," expressed Effendi, when he attended in a validation monitoring asset data of KIB (land) and KIB (building) into the asset information system 2017 in Ali Sadikin room, West Jakarta Mayor Office, Thursday (8/24). Through the activity, he hoped, all city assets in West Jakarta could already be validated in the Regional Financial Management Body (BPAD). In the meantime, Jakarta BPAD Head, Achnad Firdaus uttered asset structuring in West Jakarta is targeted to be done on the near future. "The response from the SKPD/UKPD in West Jakarta has already been 95 percent, and only left around 5 percent. This matter has been reported to the mayor," he closed.